At Gander, our goal is to help you organize your OR to maximum efficacy. With our wide array of PPE options available in the scrub area, the range of our products is vast and can cover items that you may not be using on a regular basis. To help you best organize, we offer in-Hospital visits from one of our representatives. 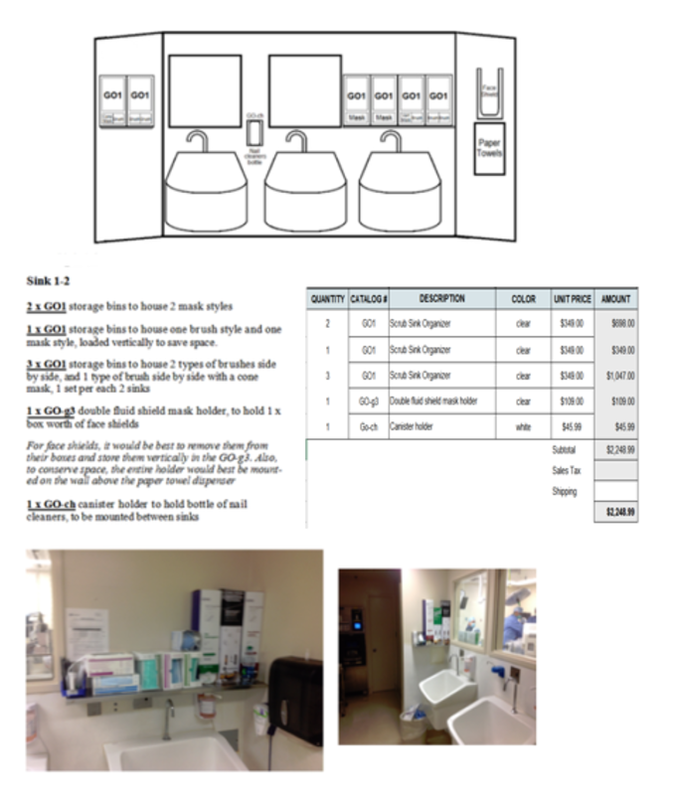 On a scheduled visit, our rep can evaluate your needs, measure your spaces, take into account which products you are using and how often, then create a mock-up tailored to organize each of your sinks in the best way for your staff. Our representative will spend about 15-30 minutes in your facility, with very little assistance needed, and will supply you with a full pdf mock-up of your facility and its ideal organization. If you have any questions or concerns about your particular needs, the rep can help you while at the facility and will be able to tailor your quote as needed. As well, our representative will have one GO1 Scrub Sink Organizer available to leave with you on a 30 day trial basis, to help give you a better idea of how our products can work for you on a daily basis. Please note, in-hospital visits are based on interest in the general area. If you are interested in a visit, please contact us on the next page and mention that you are specifically looking for a visit. Our rep will be in contact with you to discuss a potential visit and availability.